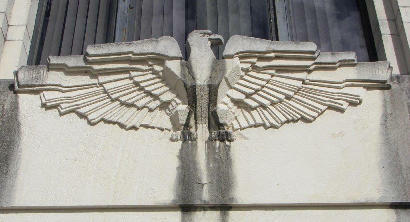 Liberty County Courthouse, Liberty, Texas. 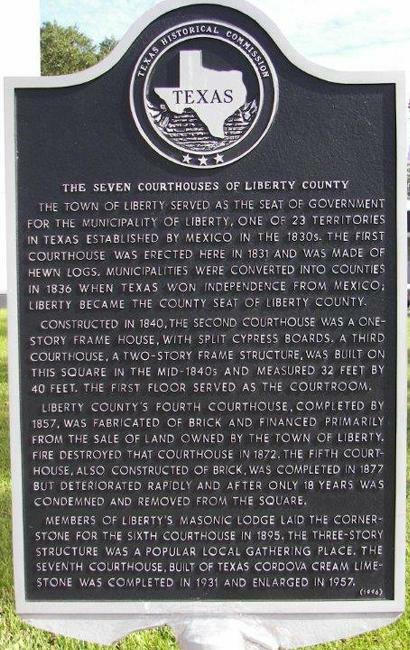 The town of Liberty served as the seat of government for the municipality of Liberty, one of 23 territories in Texas established by Mexico in the 1830s. The first courthouse was erected here in 1831 and was made of hewn logs. 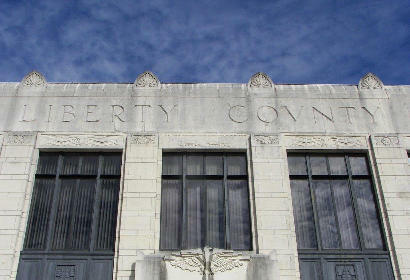 Municipalities were converted into counties in 1836 when Texas won independence from Mexico; Liberty became the county seat of Liberty County. Constructed in 1840, the second courthouse was a one-story frame house, with split cypress boards. A third courthouse, a two-story frame structure, was built on this Square in the mid-1840s and measured 32 feet by 40 feet. 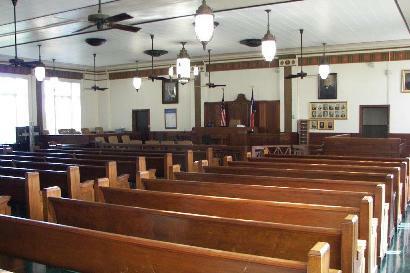 The first floor served as the courtroom. 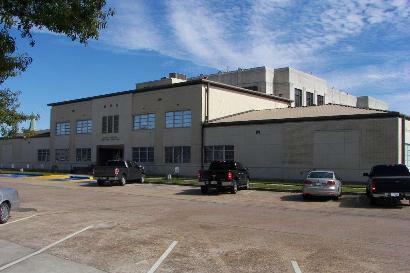 Liberty County's fourth courthouse, completed by 1857, was fabricated of brick and financed primarily from the sale of land owned by the town of Liberty. Fire destroyed that courthouse in 1872. 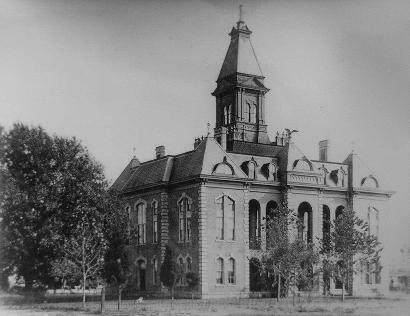 The fifth courthouse, also constructed of brick, was completed in 1877 but deteriorated rapidly and after only 18 years was condemned and removed from the Square. 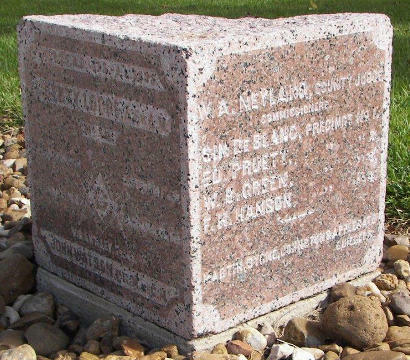 Members of Liberty's Masonic Lodge laid the cornerstone for the sixth courthouse in 1895. 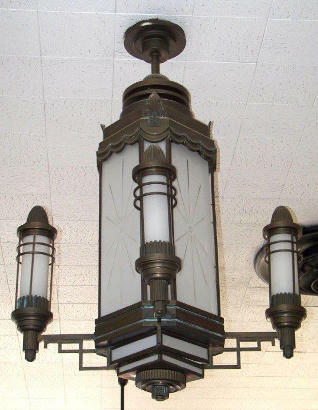 The three-story structure was a popular local gathering place. 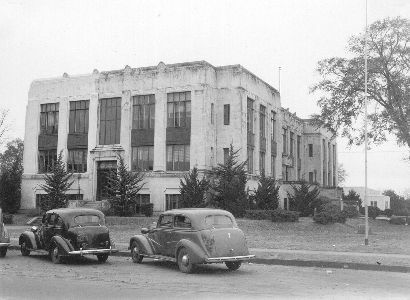 The seventh courthouse, built of Texas Cordova cream limestone was completed in 1931 and enlarged in 1957. 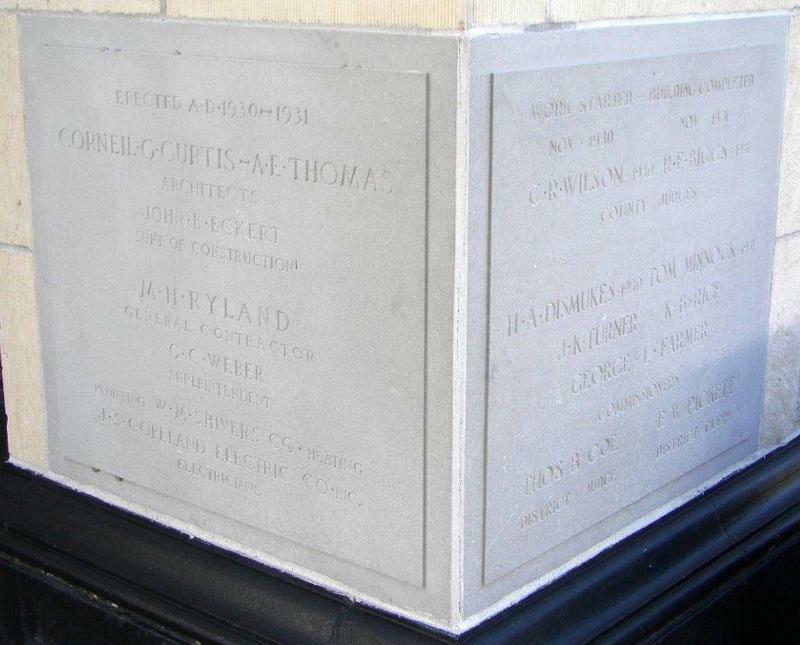 Cornerstone of the 1896 Liberty County courthouse. 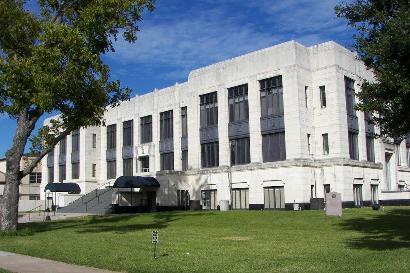 The 1896 Liberty County courthouse. 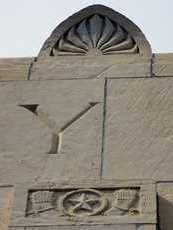 This Second Empire style courthouse was built of brick and cost $35,757 to build.